There’s so much advice and information out there, ready to tell you how to run your business more efficiently, streamline your workflow, and improve your bottom line. The more you know, the more equipped you are to successfully grow your business and reach your goals – but with so much to read, where do you start?? Aside from starting with the Horizon Business Systems blog (of course! ), we’ve put together a list of our favourite Australian accounting and business blogs to help you thrive and evolve as a business owner. A longstanding supporter of the Australian small business owner, MYOB offers an excellent blog for professionals and entrepreneurs. The Pulse is an insightful look at new developments in business. It provides helpful information, including updates on Australian workshops and seminars directed at business professionals and accountants, and useful tips that busy managers can apply to their day to day work. As creators of accounting apps and software solutions, there is a focus on accounting best practices and using technology to empower SMBs. Get your tax and financial advice from the pros by reading the Chartered Accountants blog. Expect in-depth analysis of current updates, essential information on the latest changes from the Australian Tax Office, and some helpful tips on business policy and management written by members of the Institute of Chartered Accountants Australia. This is a compilation of several blogs, not all of which are updated, but each blog has some gems for small business owners. Consolid8 is all about providing action-oriented tips to help you master your business’s financial situation. From tax strategies to cash flow forecasting, this is the online hub for the knowledge that you need to get your business on track financially. Getting the right financing is essential for keeping your business running smoothly and fostering healthy growth. Fortunately, The Bank Doctor is here to help Australian business owners by providing a wealth of knowledge on securing optimal funding and avoiding financing pitfalls. Take control of your business by reading this dynamic Aussie business blog. My Business covers everything from marketing techniques to networking strategies. It’s also loaded with thought-provoking interviews with today’s business disruptors, making it an inspiring coffee break read. Dedicated to all the women business owners and entrepreneurs out there, Leaders In Heels is the go-to source for guidance, information, and support for women in business. Filled with articles designed to help you reach your potential, as well as plenty of useful downloadable resources and motivating interviews with successful women, this blog is an amazing boon for female business professionals. Need to know what is relevant and current in Australian business? Business News Western Australia is probably the most comprehensive business news blog on the web, with everything from special reports on workplace wellness, news articles covering real estate, the markets, mergers, and more, to informative podcasts that feature the latest happenings in various industries. This is another excellent blog on what is happening in Australian business. It covers innovations, the markets, as well as what is going on in world news and politics. Business Insider also offers tips and advice for successfully navigating the business world, including everything from deal closings to how to get along with co-workers. It has a little bit of something for all types of business professionals, whether you want to brush up on your industry current events or you want to know about some of the latest luxury car releases – after all, all successful business owners need a break from the daily grind to dream a little. 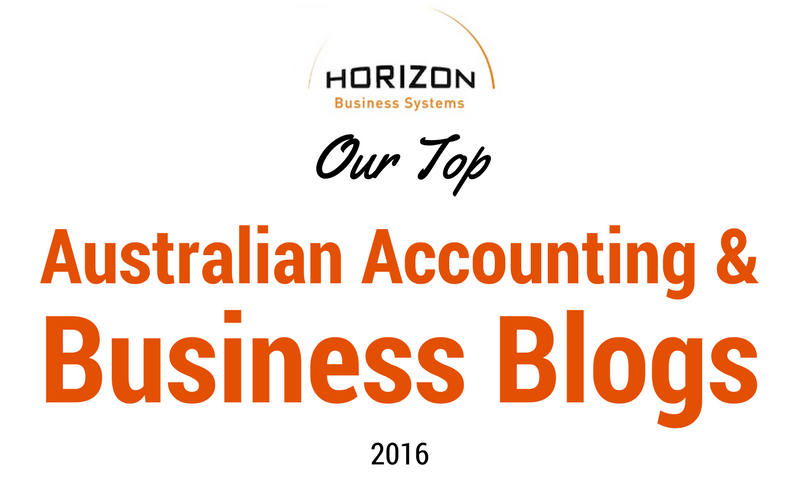 Browse through these top Australian accounting and business blogs and find out what they can offer you. With a wealth of knowledge and plenty of inspiration, a little blog reading can make a huge impact on how you run your business, and help to keep you on top of your game. And let’s not forget how business management software can help streamline your business processes too! For more information on that, just get in touch with us! As a business grows, so does its complexity. Connecting the varied processes and operations to it can be a challenge. Understanding your business processes and having your business management system built around them can transform your entire operational approach – and deliver real, quantifiable business benefits. Like having easy access to the information you need to make critical decisions, gaining a deeper understanding of the efficiencies that drive your business and that all-important big-picture view – along with the ability to drill down to the details when it matters. MYOB Enterprise Solutions offer a suite of enterprise systems covering finances (ERP), business operations, inventory control and client management (CRM), employer services (payroll and HR)– giving you the ability to make smarter connections across all aspects of your business with a fully integrated management solution built around your individual operational approach.